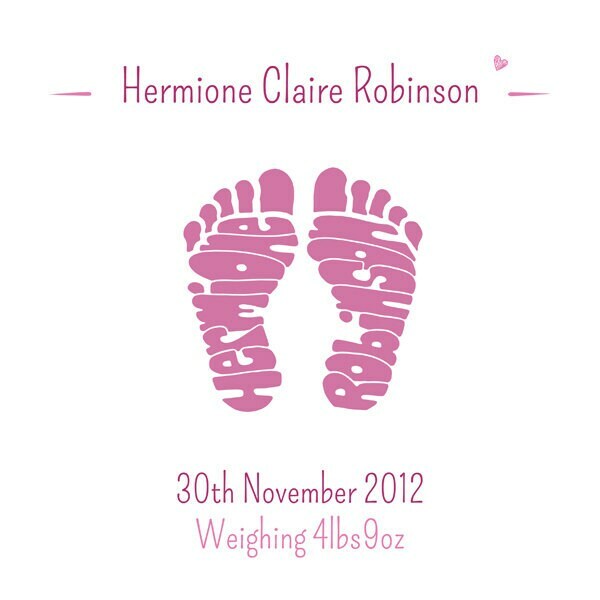 A new baby FootPrint! 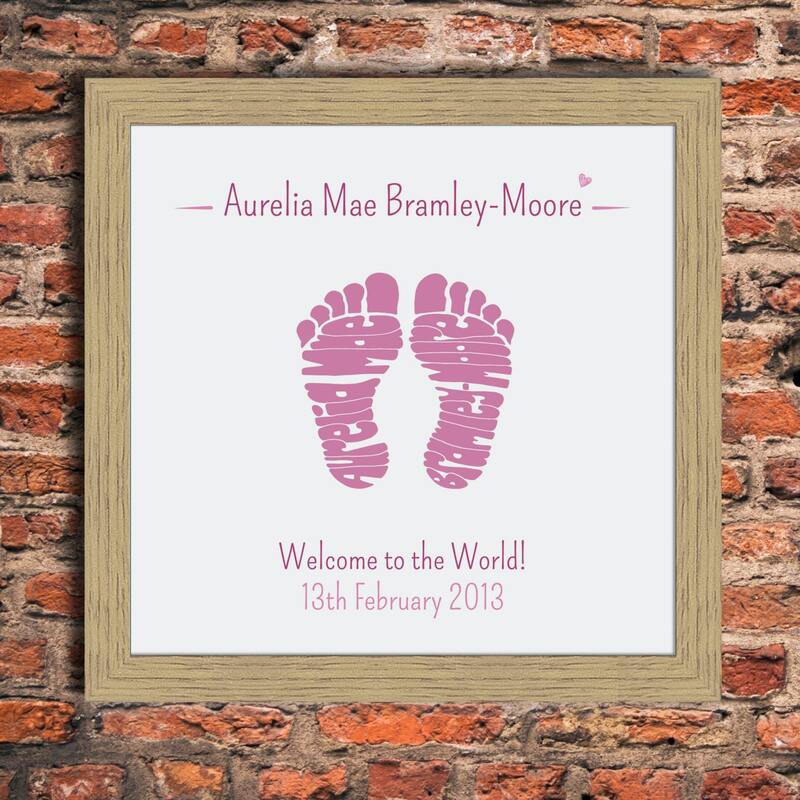 A unique and highly personalised print, drawn by hand initially, showing the footprints and birth details of a new born baby.The name is in the design! 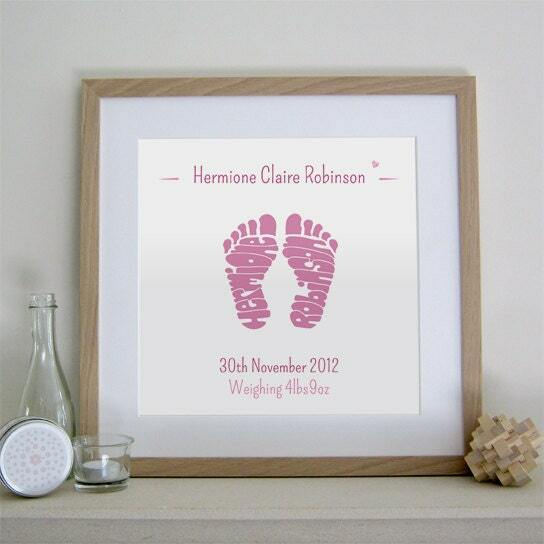 A perfectly thoughtful gift to celebrate life, ideal to brighten up a playroom or nursery. 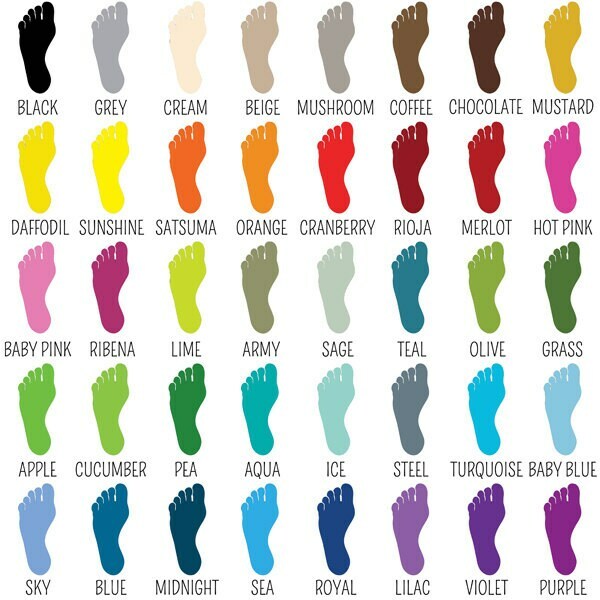 Please also choose which colour you would like your footprint to be. At checkout please enter your 'title' and 'footer' text carefully as it will be copied exactly onto your FootPrint, including capital letters and punctuation. Please enter the Christian name and Surname of the baby.